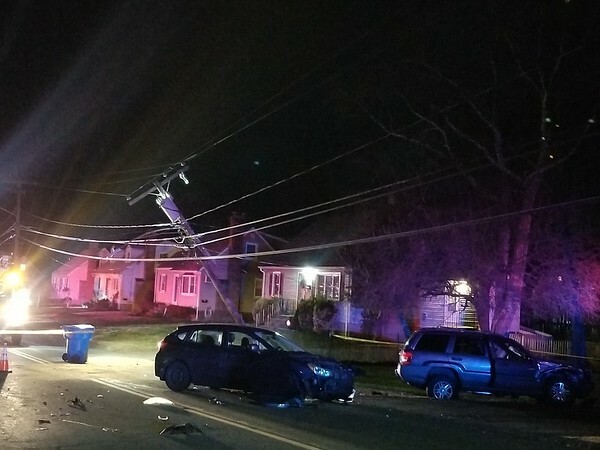 BRISTOL - A utility pole with a transformer at the top of it snapped in half during a two-car crash on Mountain View Avenue on Wednesday. 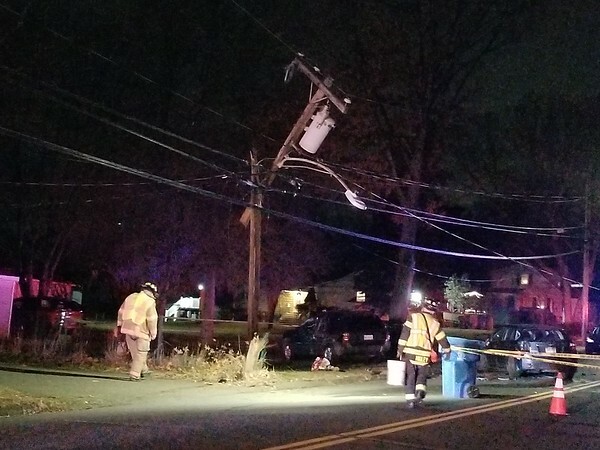 The area between Kathern Street and Vine Road was expected to be closed for some time while Eversource crews made repairs, as the top of the pole was left dangling on utility wires after the accident, which was reported shortly before 5 p.m. Police and firefighters cordoned off the area and kept motorists and pedestrians away from the utility lines. The accident involved an SUV and a hatchback. Both vehicles sustained front end damage. 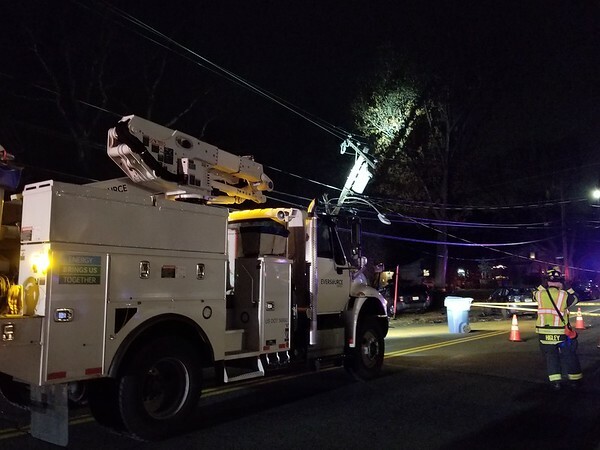 The vehicles could not be towed away until utility repairs were made, as the transformer resting on the utility lines posed a hazard. Posted in The Bristol Press, Bristol on Wednesday, 5 December 2018 18:08. Updated: Wednesday, 5 December 2018 18:11.